Ending up with orange hair when your aiming for a soft ash grey can be devastating. It’s never an ideal situation but it’s always something that needs rectified. 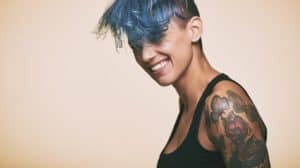 Stores offer toners, but selections can be confusing if you don’t know what you’re looking for.Toning your hair color can occur right at home with a few ingredients that are mostly likely scattered about your home. Yellow hair can happen from a multitude of scenarios. The most common is when bleaching or lightening darker hair. Naturally lighter hued hair can develop a brassy coloring from constant shampooing. One of the most average ways to solve these issues is by using a toner. A toner aids in neutralizing the yellow or orange tints in hair. It is the go-to solution for a bleach job gone-wrong. If bleaching your hair does not go well for you, using a toner is much less harmful and just as efficient as rebleaching. It uses opposing cool tones to make the brassy hair more subtle. This is used to get the edgy grey haired look, or even a quirky ash blue. Toners can be offered in treatments. These are often offered if you lighten your hair at a salon. Even if your yellow hair is caused by the repeated use of shampoo, you can make an appointment and have your hair undergo a toning treatment. Most toners, even those from home, may take a few uses to get the job done. However, paying someone again and again to complete the process is not financially sustainable. Especially when you’ve already paid for the lightening treatment to begin with. Any hair store, or even large shopping center, will have a variety of toners you can purchase. Some go into the hair dye to prevent the brassy hair problem at the source, this type is often a more inexpensive option. Unfortunately, the variety of options and lack of employee expertise at this type of store can make it hard to pinpoint the exact toner best for your hair type. One of the most revered toner products is shampoos. Most know it by the name ‘violet shampoo’ and it is a soft purple hue. If you purchase this toner do not be wary of the color- you’re not going to end up in a bright situation you’ll have to explain to your boss tomorrow. This type of toner is meant to be used in the shower on a regular basis after a coloring. If you’re looking to save money, a home remedy to get rid of the yellow in your hair is a great option. 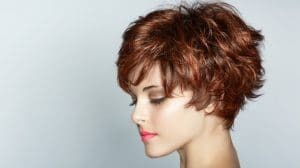 It is also a chemical-free option for all those conscious for the environment or who have over-treated their hair with color treatment after color treatment. Vinegar is best used as a rinse. Prepare the mixture of apple cider vinegar and water before your shower (half a cup of each should be enough.) Begin by going through your usual shampoo and conditioner routine. When your hair is fully rinsed, begin massaging the vinegar solution through your locks. Vinegar is especially known to smooth your strands in addition to adding a healthy sheen. Do not replace the apple cider vinegar with other types of vinegar. Apple cider vinegar has many health properties that the others do not contain. Use a quality shampoo and conditioner. This is true for any recipe that uses these products. You will only get out of your hair what you put into it. Vinegar can stink. If you chose to go this route be sure to do it with time to spare before going out. Even if you wash your hair several times after using vinegar, the scent may still linger. Begin with a bowl containing the appropriate amount of sulfate free shampoo needed to fully cover your hair, using slightly more might be a good idea to ensure you have enough if any sticks to the bowl. Add the two food colorings and stir, then slowly add the baking soda while continuing to stir and breaking up any clumps. After the mixture is fully incorporated, use this as your shampoo. Leave the mixture in your hair for 10 – 12 minutes to activate and rinse fully. Conditioning is always useful to restore moisture. Double check that your shampoo is sulfate-free or your results will not be as successful. Sulfate is a great color protector (which is usually exactly what most beauty connoisseur’s search for) so you will only make it harder to adjust hues. If you cannot find purple food coloring just mix a small amount of red into the blue. Do not use too much of the food coloring because a large amount can stain your hair for a few days depending on the quantity used and your hair washing schedule. Temporary dyes can be used in small doses to correct hair coloring. Add more than your typical dose of conditioner to a bowl, double is always an easy standard to meet. Use an application brush to mix in a small amounts of the dye until you reach a light purple hue. Use the application brush to apply the treatment to wet hair. This will need to sit for one hour. Then simple rinse and wash as normal. The purple dye will help neutralize orange hair. Add Dye Slowly. Be careful, adding too much can actually turn your hair purple. You just want to add enough to tint your hair not fully color it. To avoid getting dye on your hands use an application brush. Most colored dyes come with an application device and gloves. Try to find a similar package that includes the tools when first purchasing the purple/blue dye. Using actual hair dye is for hair that has especially brassy, or even orange, tones. Use this method with caution if your hair is only slightly yellow. A shower cap is a convenient way to prevent making a mess or staining your furniture while waiting to rinse. Begin by mixing together one dose of conditioner with enough water that the solution is not runny but loose enough to be applied to your hair. Add the lemon juice. Apply by parting your hair and covering small sections one at a time. Let the treatment soak in your hair for half an hour before rinsing. Take note that you do not have to shampoo your hair before this conditioning. Repeated use produces the best results. The acidity of the lemon will work to break down and rid your hair of harsh yellow tones, but this can only occur over multiple treatments. Other citric fruits may seem like an easy substitution but none can do exactly what lemons can for your hair. You never want to get hair products in your eyes, but be careful, this treatment can have an extra sting. In your eyes. Seriously, be careful. Start by simply making a strong tea. Boil the water and add all three tea bags until the water becomes dark brown or black. Set this aside for it to cool before applying. Once the solution is no longer hot, massage it from your scalp to the tips of your hair, where it will stay for half an hour. This then needs rinsed out with water. Tea should help the texture and even enhance the colors of your hair. Not to mention, leaving you with a lovely tea scent. Use different teas according to their properties. Most teas can help tone your hair so variety isn’t a problem. Oolong is a great choice because of the health properties the black tea holds. Green tea can up your energy during the hair soak. This method is best with repeated use. Do not expect results immediately, but with daily use for a week, you may begin to see actual results. Excessive dying of your hair will lead to a bright yellow coloring. It can even become more orange or bronze if you have very dark hair or use not enough dye. This brings us to a friendly reminder to not bleach your own hair at home. It may end up extremely discolored and damaged. There are some hues no toner can remedy. When lightening your hair with an ammonia-product, it will strip all of the color, or melanin, from your hair. The bits of color that are left behind, or are partially removed, are mostly shades of yellow. Cooler tones like blue are more easily broken down by lightening treatments, so that is why most lightening mistakes result in a brassy color. Blue and yellow are opposites on the color wheel, which means they neutralize each other’s more extreme aspects. To make sure they are balanced is to make sure your new hairstyle is not a fluorescent one. When brassy hair happens and you have not color treated your hair recently, what is happening is that your regular hair washing routine is slowly removing cooler hues from your hair. Use the correct dyes. Permanent hair color can be a mistake, and I’m not just talking about the color. Try dyes that are well-known and even try to find specific reviews to help you on your purchasing journey. Find the right products for your hair type. Not all hair products are created equally, some simply do a better job and have better properties for certain hair types. Some thinner hair can be damaged by any kind of bleaching. Do not excessively bleach your hair. Bleaching hair once can damage it, so please stop doing it repeatedly! Bleaching at home is not advised, but if you are set on the option follow the directions carefully. Do not let bleach stay over specified times even if you want your hair lighter. Avoid harsh chemicals. This one is self explanatory. Look into the products you are using on your body and learn to distinguish the dangerous ingredients from the helpful ones. Shampoo sparingly. If you have lighter hair that is prone to drying out, do not over shampoo your hair. It does not need washed every time you’re in the shower; most people’s hair only needs washed weekly.. It’s not gross, it’s simply science. Get it done right the first time. Lots of people have made the mistake of letting a friend take the reigns and color their hair from home. These people usually end up with an incomplete or patchy dye job. Professionals are trained to do this and have far more experience than your friend Becky. Looking in the mirror to see yourself looking awfully similar to a lightbulb is not what anyone desires. Always take a moment to calm yourself and understand this is a normal problem. Do not jump to the conclusion that you and your neon strands will have to face the public eye at a salon or beauty store. By following all of our home-made recipes there is even a way to rectify the problem in the comfort – and seclusion – of your own bathroom.